We offer our clients high quality Industrial Pipe fitting Equipments. 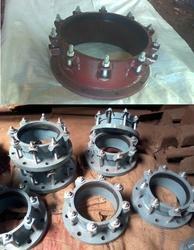 We offer clients these products as per the International Standards and as per the clients requirements. AMM Flange Adapters are the most economic simplest way of connecting valves, meters or other flanged equipment to plain ended pipe. Range available is from50 mm to 1000 mm. 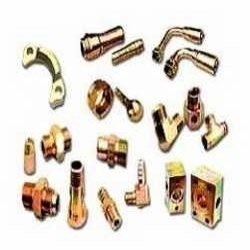 A wide range of Pipe Fittings is available with us. These pipe fitting components are well known for their precision make, high performance and durability and are heavily used in many industries.Manufacturing and presenting a comprehensive range of carbon and alloy steel pipe fittings. Our wide gamut of qualitative products are highly demanded in the global market for their longevity, accurate dimensions and resistance to wear and tear. We make sure that our products is up to the mark and our clients have no complaints. A Hydraulic Cylinder is a mechanical actuator that is used to give a unidirectional force through a unidirectional stroke. It has many applications, notably in engineering vehicles. 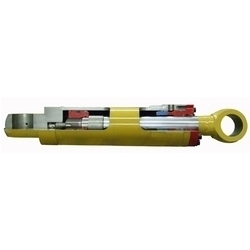 We offer a unique range of Hydraulic cylinders made by employing cutting edge technology with best quality raw materials. These custom welded hydraulic cylinder solutions serve, industry leading OEM’s in a wide variety of markets, in demanding and man critical applications. Hydraulic cylinders works on pressurized hydraulic fluid, which is typically oil. The hydraulic cylinder comprises of a cylinder main barrel, in which a piston connected to a piston rod moves to and fro. 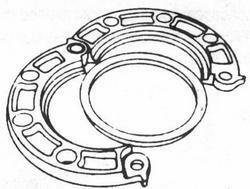 The barrel is closed on each end by the cylinder bottom and by the cylinder head where the piston rod comes out of the cylinder. The sliding rings and seals are mounted on piston. The piston divides the cylinder’s inside in two chambers, the bottom chamber (cap end) and the piston rod side chamber (rod end). The hydraulic pressure acts on the piston to do linear motion and work. Looking for Industrial Pipe Fitting ?